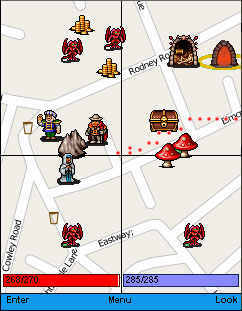 Virtualpunk is a MMORPG GPS game. That means you have to walk, run or travel in some sort to fully experience the game. When you first start the game you will most likely be put in an area with some object to interact with.